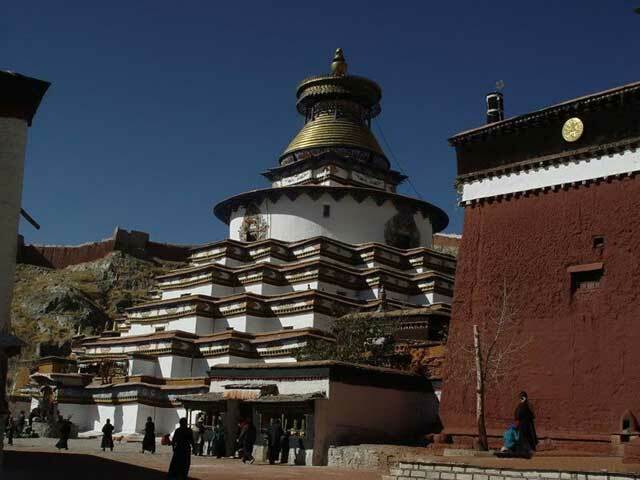 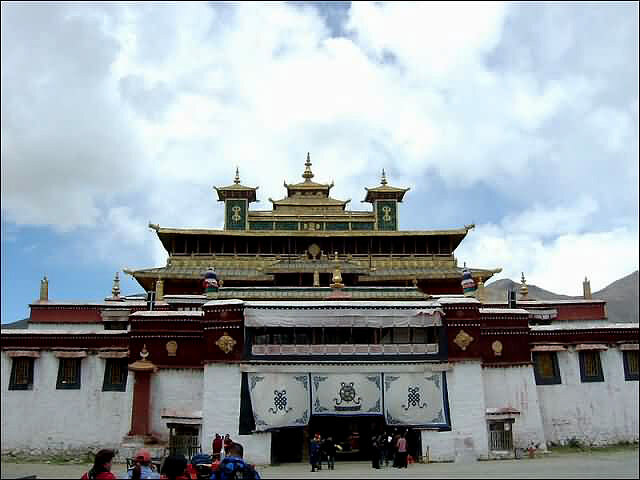 Sera Monastery is one of the "great three" Gelukpa university monasteries in Tibet. 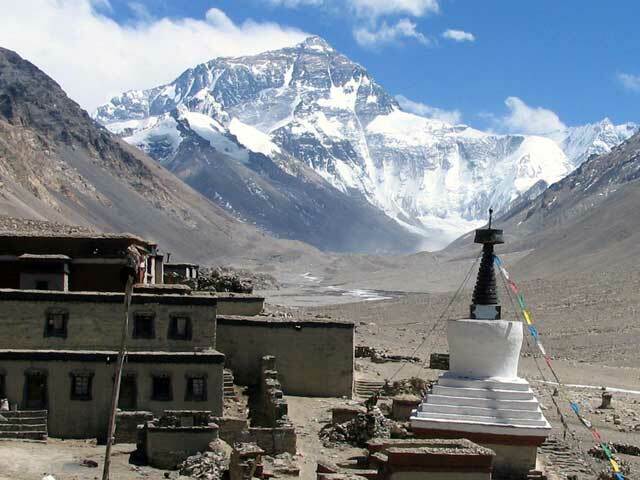 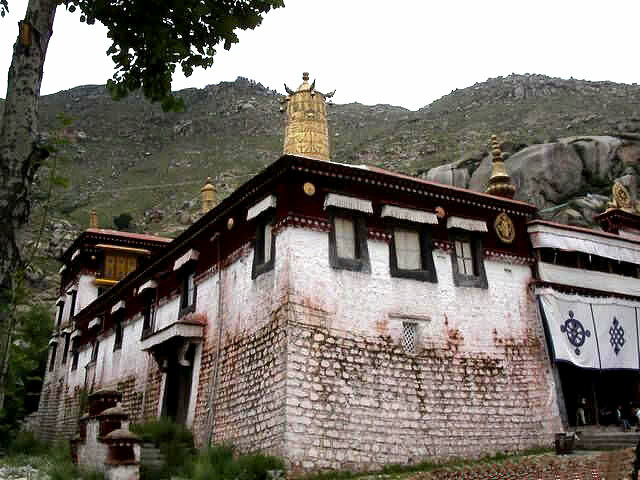 The other two are Ganden Monastery and Drepung Monastery. 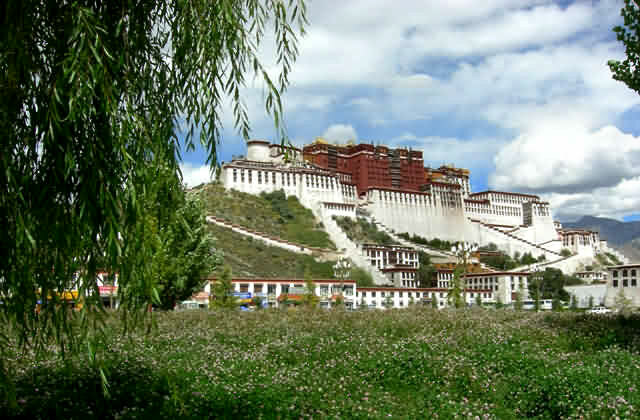 The origin of the name 'Sera' is not certain, but it may have come from the wild roses (sera in Tibetan) surrounding the original site. 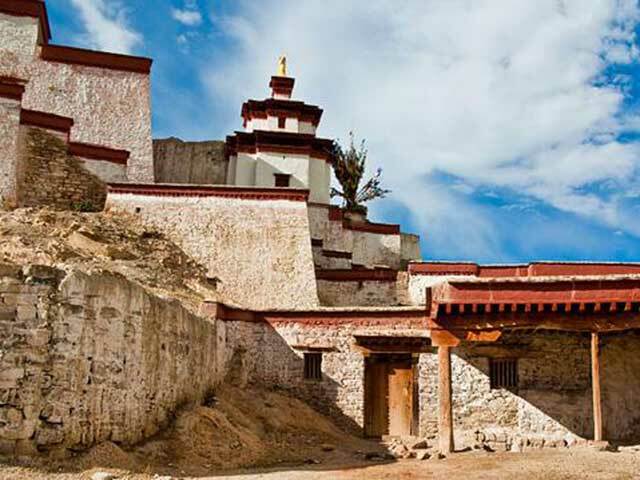 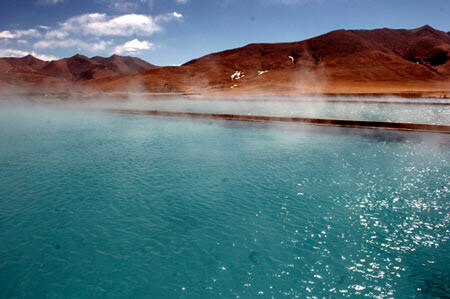 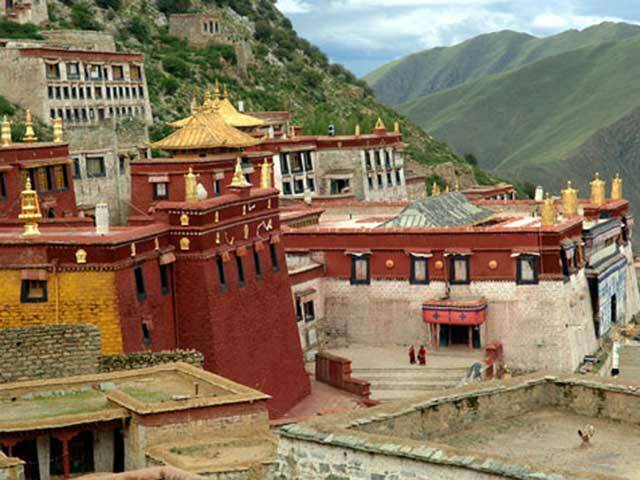 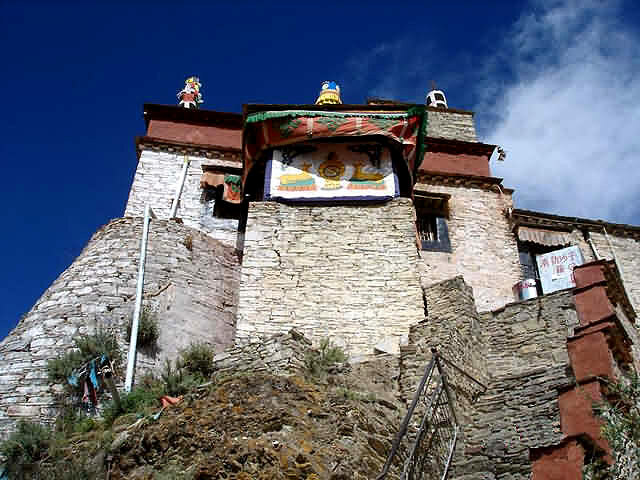 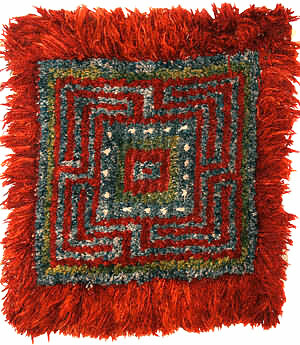 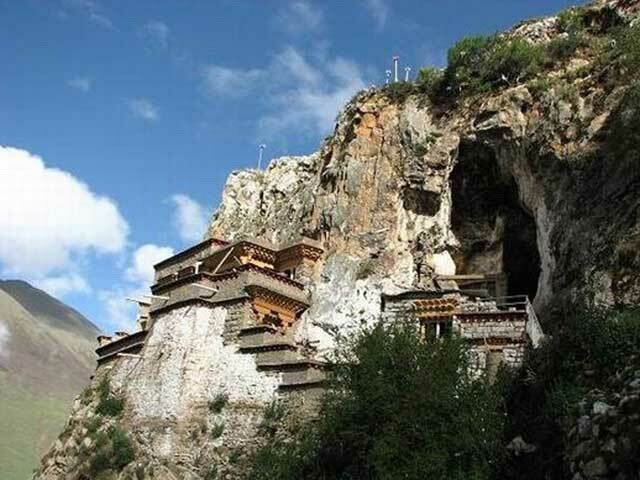 The original Sera monastery was in Lhasa, Tibet, about 5 km (3 miles) north of Jokang Temple. 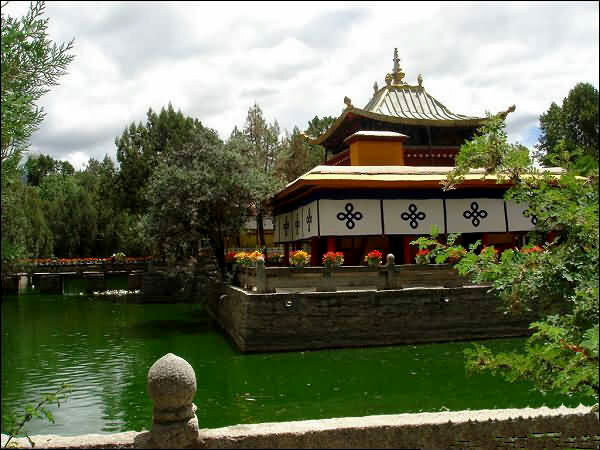 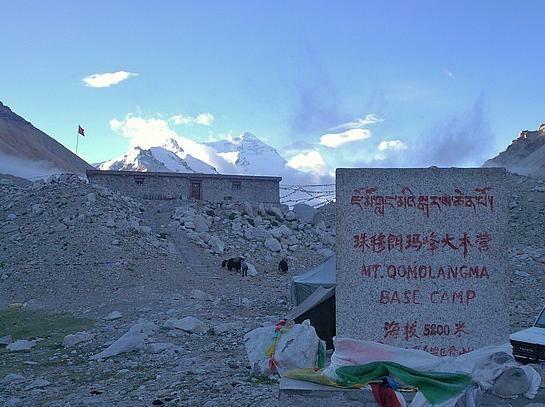 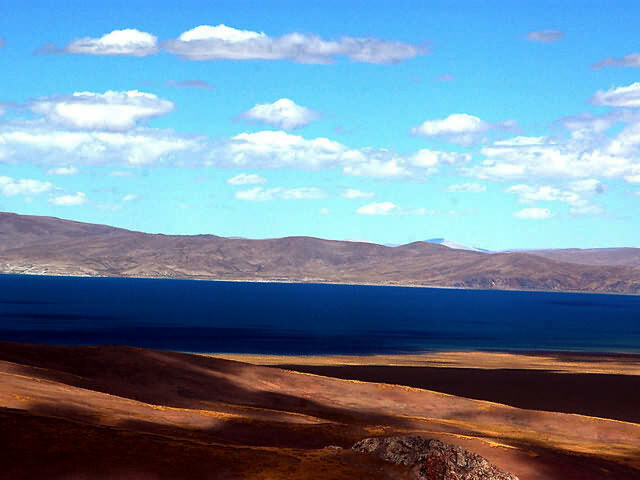 After the Chinese took control of Tibet in 1959, it was re-established in Bylakuppe, India, near Mysore. 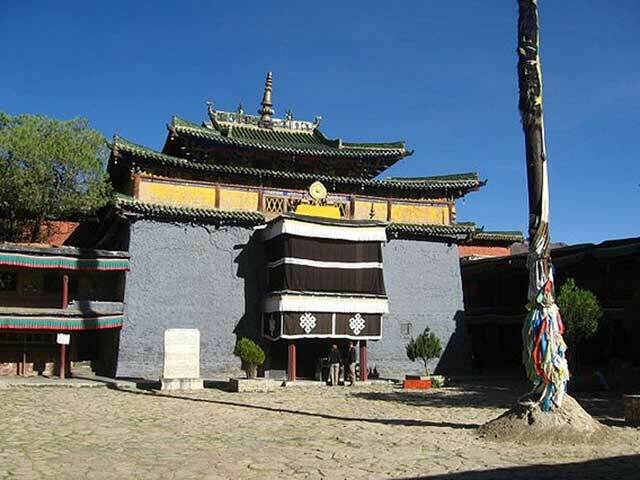 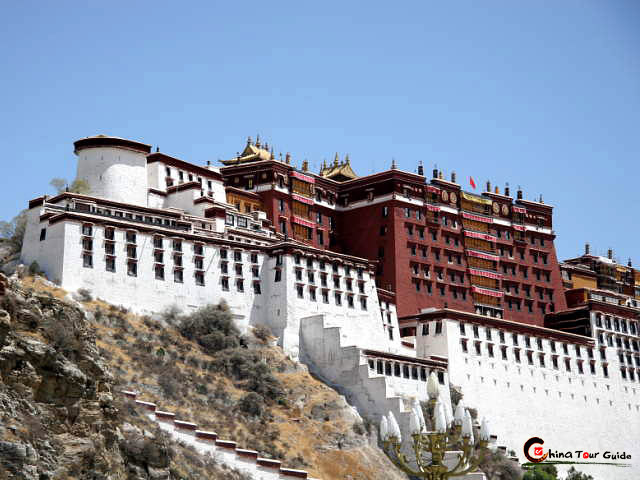 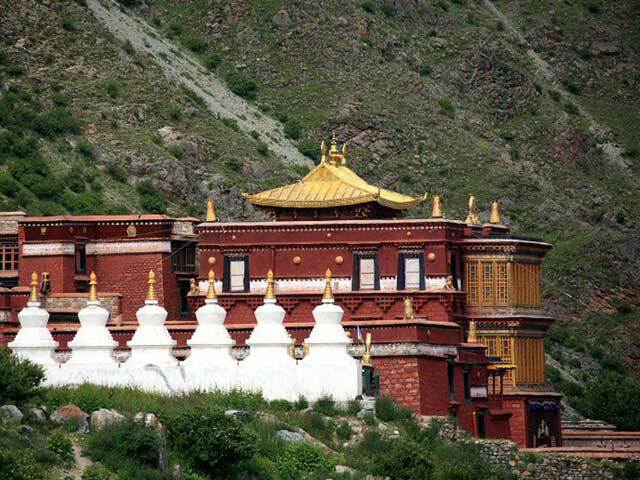 The monastery is magnificent, featuring a unique style quite different from other famous monasteries in Lhasa and covering an area of 114,946 square meters (28 acres). 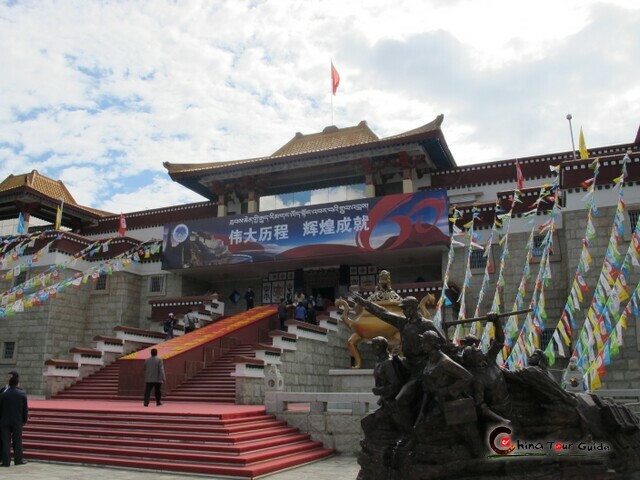 Its main buildings are the Coqen Hall, Zhacang (college) and Kamcun (dormitory). 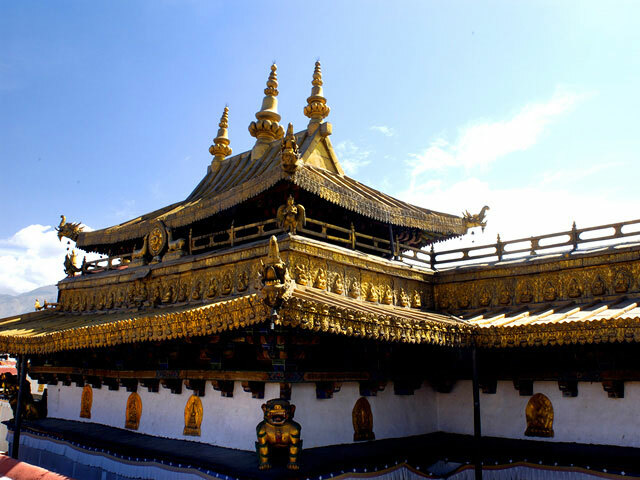 Buddhist Scriptures written in gold powder, fine statues, scent cloths and unparalleled murals can be found in these halls. 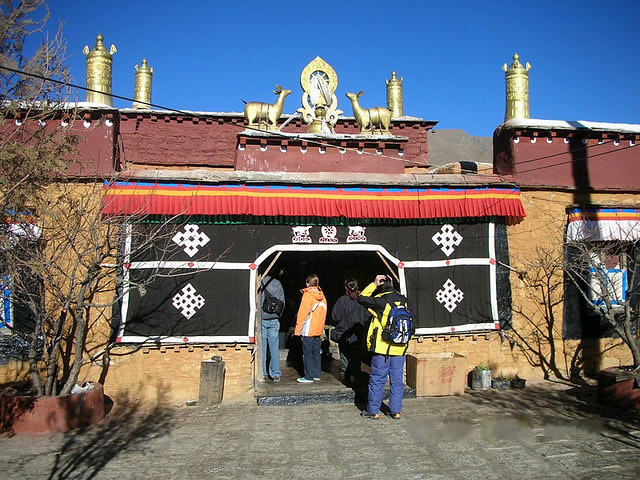 The monastery is a Buddhist think-tank and lively debates on Buddhist doctrines are held here. 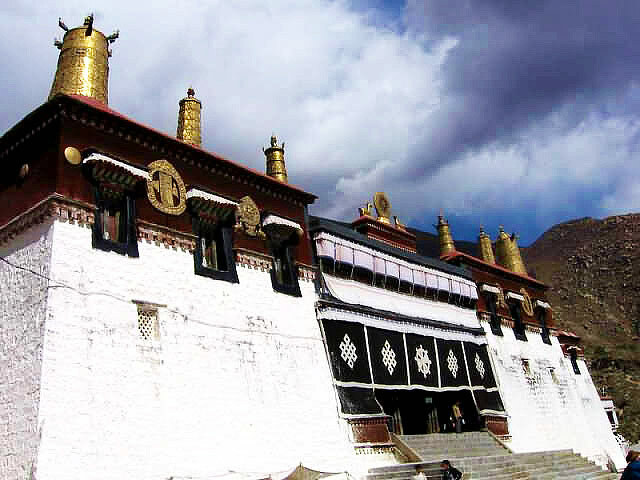 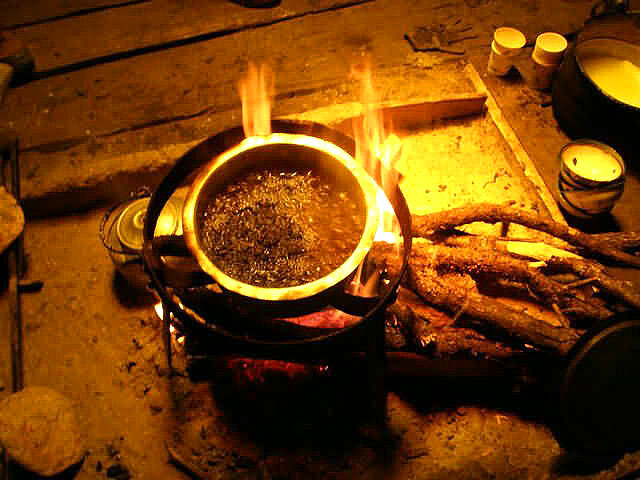 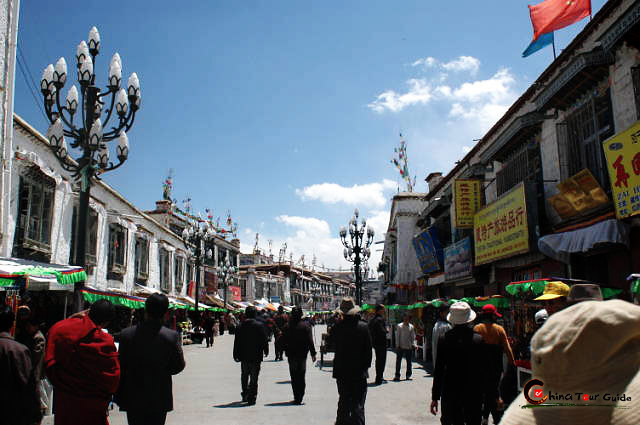 The Sera Bengqin Festival is a grand festival held in the Sera Monastery on December 27 of the Tibetan calendar (about February in the Gregorian calendar). 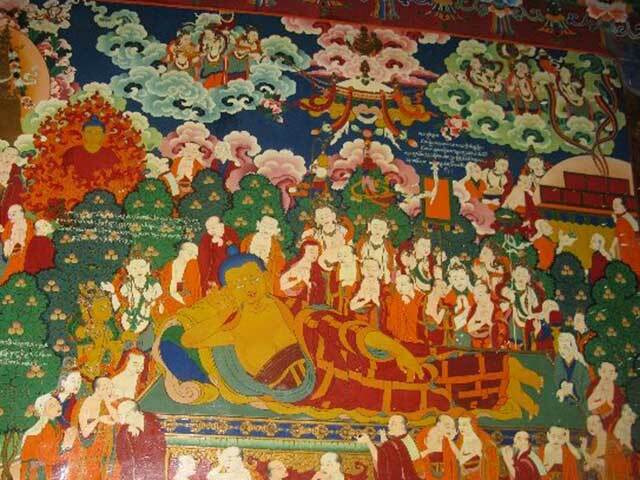 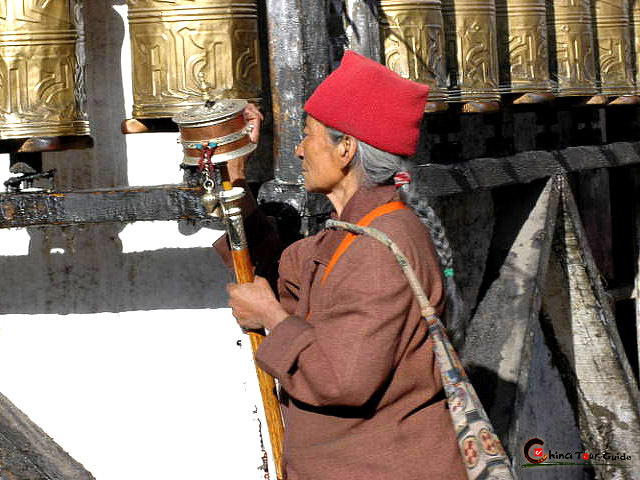 On the day of the festival, a Dorje Pestle is carried to the Potala Palace. 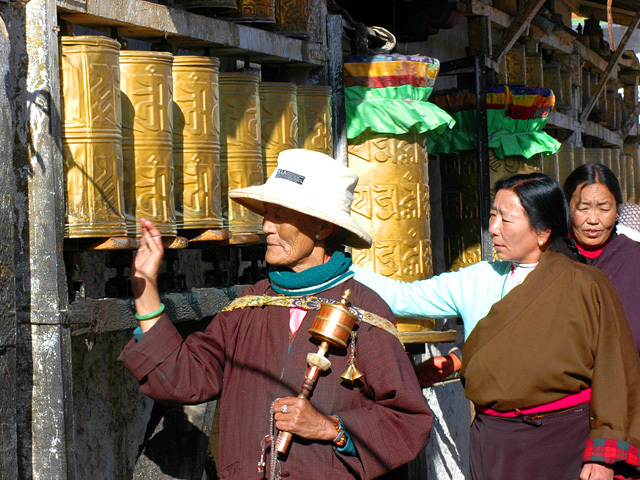 The Dalai Lama prays to the Buddha to confer strength and then he blesses the pestle. 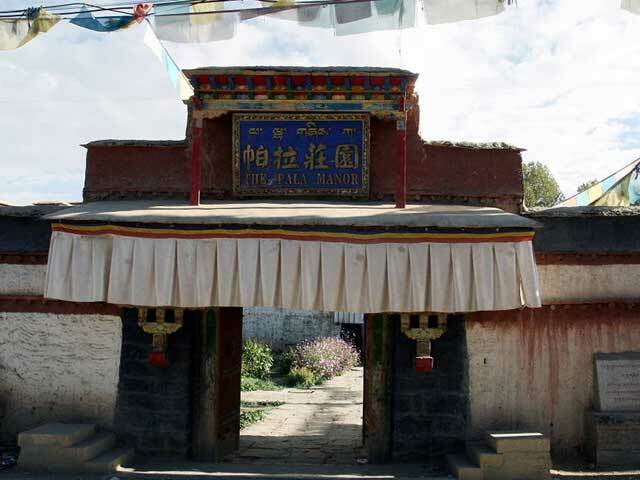 Following this, the Khenpo (president) of the Ngaba Zhacang (school) will place the pestle on the monks and their followers. 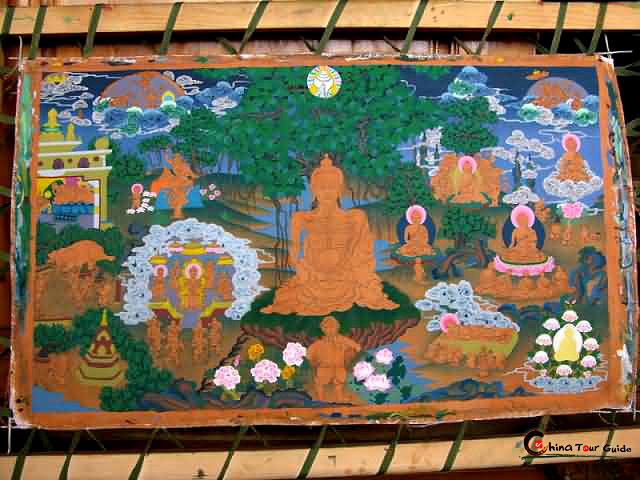 These believe that the power and support of the Buddha are then transferred to them. 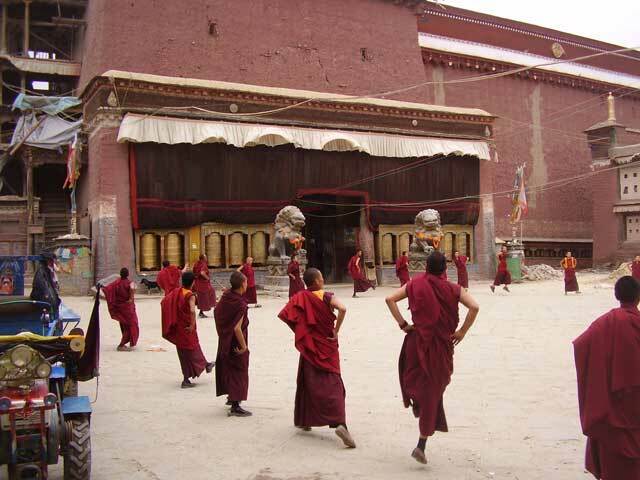 Tens of thousands of Buddhists come to witness this event as it only occurs at the Sera Monastery. 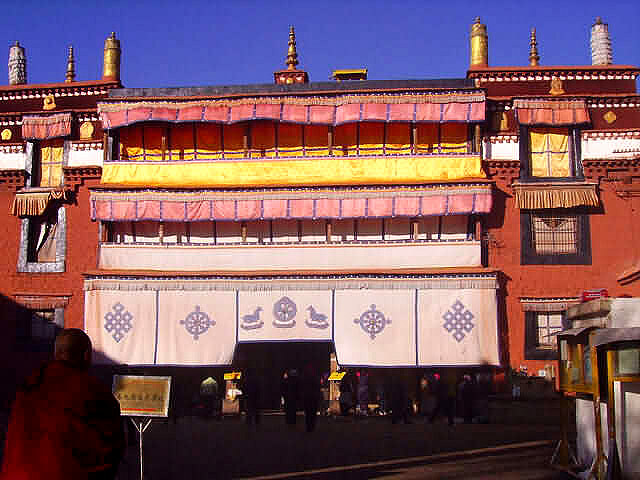 The main building of the Sera Monastery. 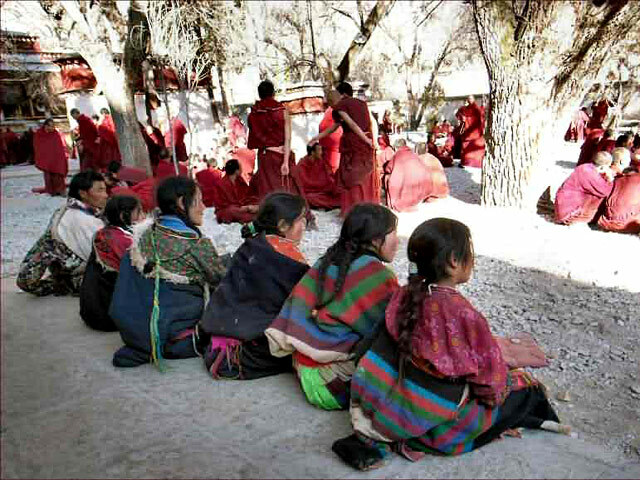 Tibetan children are watching the Lamas debating about the Buddhism.